Deke Richards, the Motown songwriter and producer who was behind songs including The Jackson 5’s first three number one hits, has died aged 68. Deke Richards, who had oesophageal cancer, died in a Washington state hospice, Universal Music said. Their hits include The Jackson 5’s chart-topping I Want You Back and ABC. Deke Richards also co-wrote Love Child for Diana Ross and The Supremes, as well as Ross’s solo track I’m Still Waiting. The Corporation, which comprised of Motown label head Berry Gordy, Alphonzo Mizell, Freddie Perren and Deke Richards, was assembled in 1969 to create hit records for the label’s new act, The Jackson 5. They also wrote, produced and arranged the band’s singles and Maybe Tomorrow and Mama’s Pearl. According to Michael Jackson biographer, J. Randy Taraborrelli, Mama’s Pearl was originally called Guess Who’s Making Whoopie (With Your Girlfriend). But Deke Richards had the lyrics changed to preserve the young frontman’s innocent image. 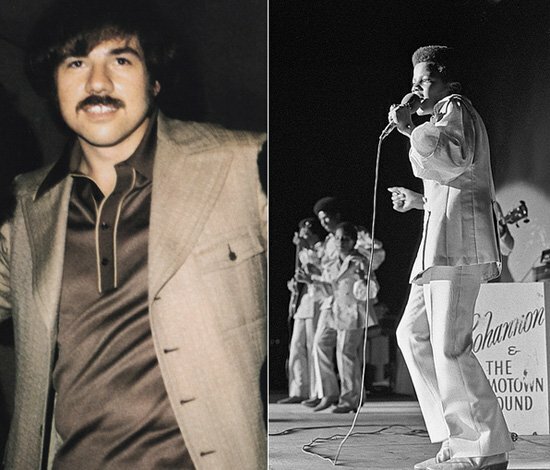 According to the Hollywood Reporter, Deke Richards’ “love of music” kept him involved with a variety of projects, including last year’s production of The Jackson 5’s Come and Get It: The Rare Pearls, featuring rare and unreleased tracks. Deke Richards’ final work was the mixing of eight unreleased tracks by Martha Reeves and The Vandellas for the band’s 50th anniversary box set, which is to be released on April 5. Deke Richards is survived by his wife, Joan Lussier, a brother and two nephews.